Bioengineering is the practice of solving problems in the life sciences using an engineering approach. The design and production of medical devices—instruments engineered specifically to solve medical problems—go back thousands of years. This includes prosthetic devices, designed to replace missing body parts. Mummies with wooden digits have been found in Egyptian tombs. 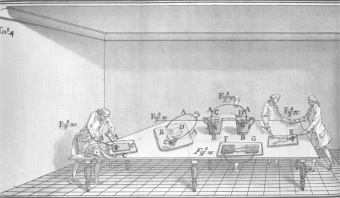 Luigi Galvani's experiments in the late 1700s led to the exploration of the link between electricity and animal physiology. This led to the study of using the electrical impulses of the body as diagnostic indications of health, such as in electrocardiology. Galvani’s student Alessandro Volta invented the first battery at the beginning of the 18th century, which almost immediately led to application of electricity to therapeutic purposes. The discovery by Wilhelm Roentgen of x-rays in the 19th century led to use of electromagnetic radiation for diagnostic purposes. The 20th century has led to many incredible discoveries and breakthroughs, especially regarding the convergence of mechanical, electrical and chemical engineering process into complex medical systems. Such systems included dialysis, the pacemaker and ultimately the artificial heart, prosthetic devices that could respond , and the DNA testing that underlies a range of genetic technologies. As we progress into the 21st century, bioengineering will continue to be an active area for technological breakthroughs and exciting new developments which have the potential to greatly improve the quality of life. This page was last edited on 9 January 2015, at 17:13.